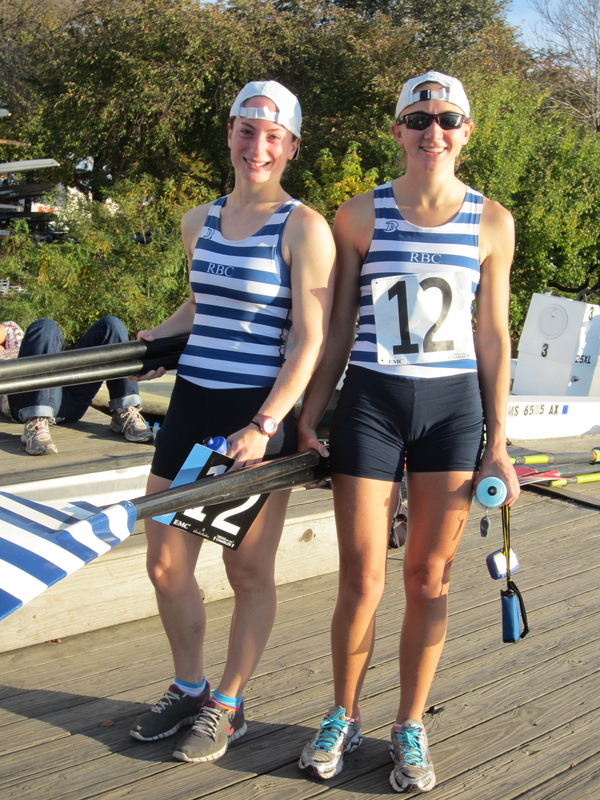 This morning there were hundreds gathered at Magazine Beach, a launching site for single and double rowers. 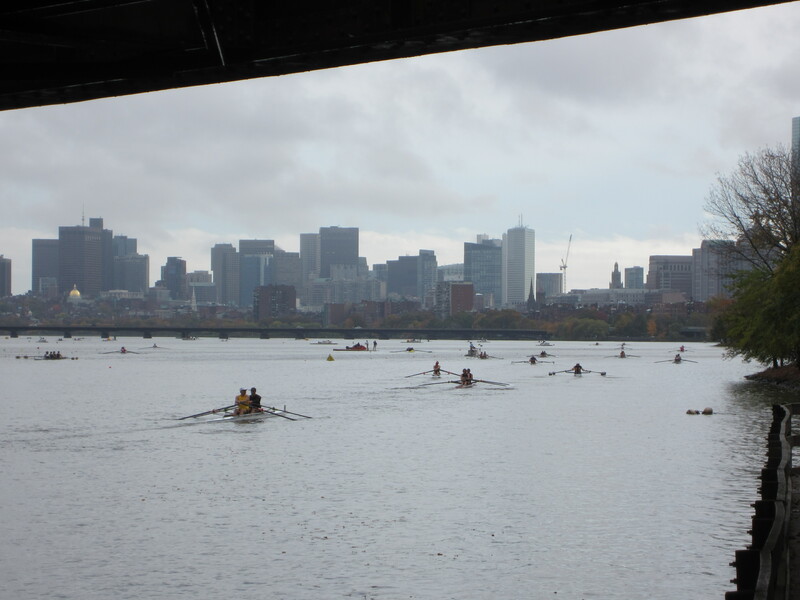 Today and tomorrow, Oct. 20 & 21, over 9,000 athletes will participate in this year’s Head of the Charles Regatta, which will draw as many as 300,000 spectators. 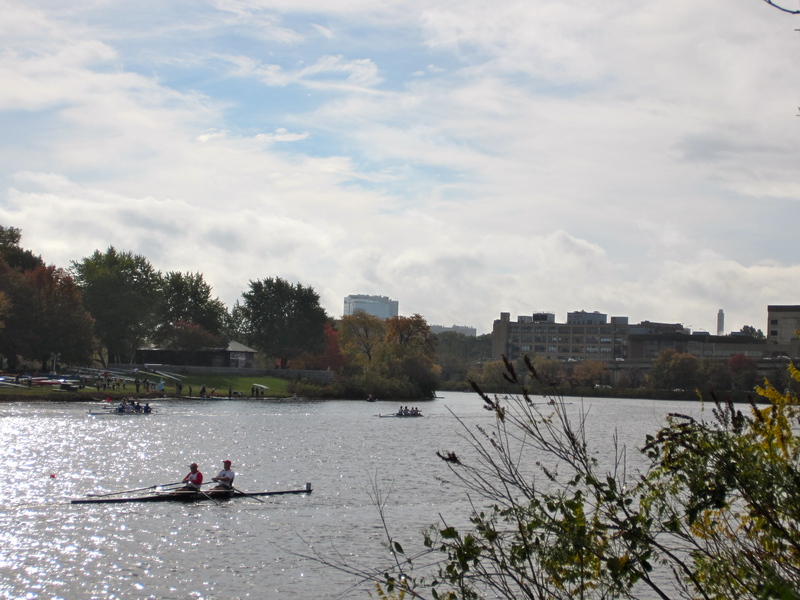 According to the event’s official website (www.hocr.org), this is the largest two-day racing event in the world. Check it out! Our local favorites, the Riverside Boat Club, have over 50 entrants, both men and women, in from elite to senior veteran events. You’ll know them by their blue and white stripped shirts. Give them a rousing cheer!